According to a patent application released by the USPTO, Apple is working on giving its iMessage app the ability to make peer-to-peer payments. Transactions could also be made using voice calls, texts, chats, emails and more. The patent application shows an image of an iPhone being used for an iMessage chat when the subject of a repayment comes up. In the upper right corner of the screen is a "Make Payment" button that apparently shows up at the discretion of the party that is owed the money. Another image shows the same iPhone during the same iMessage chat, with the screen revealing how the user would authorize a payment. The recipient's name is listed, and additional recipients can be entered. There is space to type in the dollar amount of the transaction, and a confirm button needs to be pressed to complete the money transfer. By adding peer-to-peer payment capabilities to iMessage, Apple has the opportunity to attract more iPhone users in the age range of 18-34. According to financial services firm Javelin Strategy & Research, that is the age group in the U.S. that finds peer-to-peer payments popular. What might have you confused is how Apple would make money by offering this feature. It's actually quite simple. Apple expects peer-to-peer users to be attracted to mobile payment service Apple Pay. And since Apple takes a slice of credit card transactions that use the mobile payment service, the company sees this as a way to take in some additional revenue. There is no word on when Apple might implement this. And make no mistake about it, such patents might be needed as more messaging apps look to offer financial services. For example, Kik is a popular messaging app that is said to be looking at offering some peer-to-peer payment options for iOS, Android and Windows 10 Mobile users. First Facebook Messenger, then WeChat, then WhatsApp, and soon Google, and now Apple? What's gonna be the distinction between all these messenging platforms other than features meant for ecosystem lock in. Where's the key differences? Don't forget BlackBerry. They offer peer-to-peer payments through the BBM via PayPal. This is becoming big business, and it looks like everyone wants in on it. Or iOS that offers payments thru PayPal with PayPal. LoL - if we're talking apps. That it's not new. Just possible feature for iMessage app which is already the best app I can use due to versatility. The ease of locating the person you're chatting with on the map from iMessage app is super duper convenient alone, not having to switch to regular texting app to those that don't have iMessage (i.e. the green chat bubbles) makes this app absolute. BBM offers location based services as well, such as locating another BBM user. You can also message non-BBM users through the use of the recipients email address. I don't like to use third party apps, it requires that the others have them too. 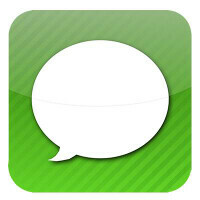 iMessage works with all the features with other iMessage users AND non-iMessage users. Adding a p2p money transfers would be great! Whether whatsap, Google, or Facebook has them or not - really don't care - I do not use them. This is for users like me that are exclusive to iMessage. I don't like such iExclusivity... more like jail! That would be true if I if no access to all the apps mentioned above. You're acting like iMessage is the only option for iOS. Dude you can have your opinion but it's baseless. 80% of people I know all use iOS. Android may have bigger market share somewhere else, but among nearly all people I know it's iPhone. Accessibility seems to be the biggest difference. If we want to talk about payment methods, why not just talk about Paypal or the app for your bank? The fact that you have to install and login an app to make a transaction, even though it's really easy, hinders and discourages people from actually using it, especially in a casual payment settings (like paying for a lunch as depicted on a diagram). Also note that Apple users are mostly just happy with the default features in the phone. People who seek other possible methods have probably moved onto Android long time ago anyway, I think this feature is very Apple-ish. The fact that you can pay right away, probably with a mild security check up like finger print confirmation or typing in password like appstore, can make the payment much easier and feel 'casual'. Great post!!! I don't know why android kids are chucking up their opinions - this is strictly for iOS users. Why do they care. For the same reason that you offer up your opinion on Android related articles.